On day two of our countdown to Christmas, ‘candles’ is our theme. Candles are symbolic and beautiful. I love them. 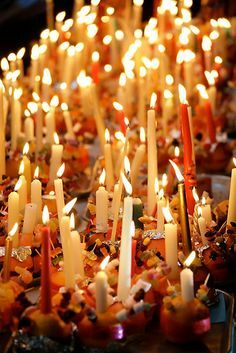 I attended Christingle at a local school yesterday and it was heart-warming to see the children’s faces lit up by their candles. As we are not allowed to take photographs, I’ve used one I found on Pinterest. Posted in Haiku. Tagged Candles, Carpe Diem, Seven Days Before Christmas. My pleasure, Kim! 😇 Merry Christmas and Happy New Year to you and yours, too! Candles are one of my favourite things. Love this. I’m “waxing with wonder” at your consistent flame of excellent poetry, Kim 🙂 Merry Christmas!